It’s true, wherever you find love, it feels like Christmas. Yes, it’s that time of year once again. Our office just had our small, yet dignified, Christmas dinner party (or “julebord”, as we Norwegians call it), which was more of a “pleasant gathering of colleagues in an out-of-work setting, with good food and great stories from work” rather than “heels to the roof, it’s par-tay time!” kind of thing. And now, I have some time off these next few days to finish up what’s left of my Christmas shopping (just a couple of gifts still missing). In Norway (at least those of the Christian faith, as well as those who want to follow or create some holiday traditions), we have Christmas dinner and opening of presents on the evening of the 24th, while the 25th and 26th are federal holidays (ie. not even shops are open). And every 24th, there are a set of annual TV shows and films on TV worth catching to get into the Christmas spirit. And every Christmas, it really kicks in on the 24th. My parents have usually bought the annual stack of Christmas cartoon albums (“julehefter”) with all the classics, so we start reading these on the morning of Christmas Eve. Around 11am, it all starts on TV, tuned into NRK1 with “Tre nøtter til Askepott” (“Tři oří¨ky pro Popelku“, or “Three Nuts/Wishes for Cinderella“) from 1973, which is narrated by Knut Risan (a Norwegian actor) with all voice characterizations dubbed to Norwegian by the narrator. It’s a bit unusual for non-Norwegians, but we’ve come to love it as an essential part of our Christmas tradition. 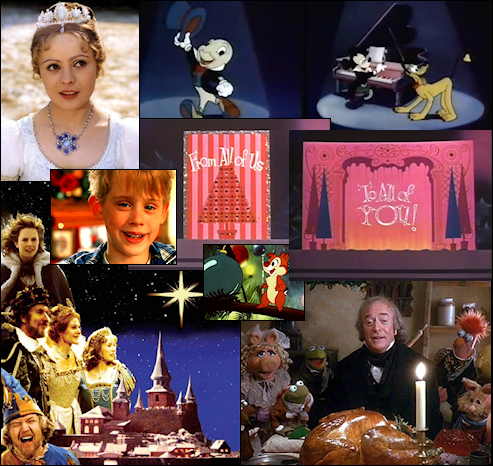 This is followed by the Norwegian classic film “Reisen til julestjernen” (translation: “The journey to the Christmas star”) from 1976, and further by “Donald Duck of vennene hans” (translated: “Donald Duck and his friends”, which is just a Norwegian name for the old Disney Christmas special “From All of Us to All of You“). All the while these TV shows are on, my mother has already started making the traditional Christmas dinner – pork and mutton rib, with various accessories (which cooks slowly for several hours) – and the true scent of Christmas for me starts filling the home. Now that’s when the real Christmas spirit finally kicks in for me. After the TV shows are done, my dad takes me and my sisters to my grandparents’ (on my father’s side) grave to light a candle and put down a wreath for them, and reflect on their memory (even though my grandfather died the year before I was born, my grandmother died when I was 15, and lived just barely long enough to see my Christian confirmation as she was my Godmother). When we return, some of us usually attend the early afternoon church service, and upon the return after it, dinner is ready. After dinner, we take a wait to get coffee/tea and cookies before handing out and opening presents from under the Christmas tree. After all presents are opened, we tidy up the wrapping paper, thank everyone for the presents (at least those who are easily available to thank), and basically wrap up the evening. And that’s Christmas to me – family togetherness. To me, the presents could be anything from gift cards, to larger items I’ve been “drooling over” for a long time, or even to something home-made. It’s the thought that counts, as long it has materialized to something (even if that “something” is just a pair of socks or a set of coasters nitted by the person who gave them – that would just make the present all the more personal). Posted on 22.12.2010 at 04:45, categorized as blog.